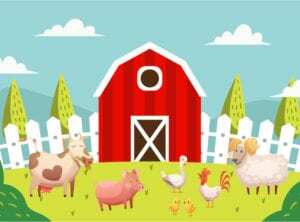 Quintessential Singapore for kids: cultural activities and awesome days out! Want to experience the real Singapore with your family? 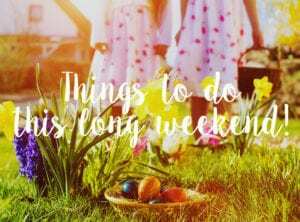 Here's our list of best things to do that are big on fun and culture! Singapore is a culturally rich city, filled to the brim with amazing sights, sounds and tastes. Whether you’re visiting Singapore, an expat keen to expose your kids to authentic Singapore experiences, or are a proud local eager to revisit your own childhood haunts, we’ve pulled together a list of quintessentially Singaporean activities for kids. 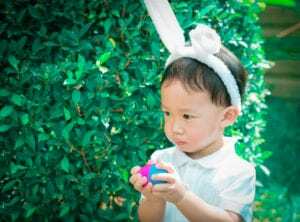 From catching a lion dance any time of the year, to feasting on hawker food and local treats, going on a trishaw ride or spending a day out in Singapore prawning or wandering through a local museum, here are the adventures that really embrace all that is quintessential Singapore for kids in this fascinating place we call home. Haw Par Villa is a-one-of-a-kind day out with kids! 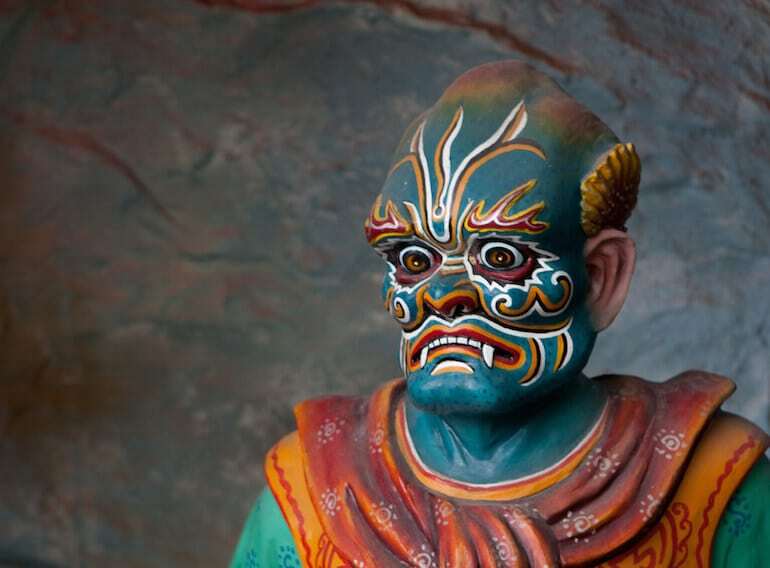 Delve into the fascinating (and sometimes bizarre) world of Chinese mythology and history at Haw Par Villa. It was originally built in 1937 by the Burmese Tiger Balm brothers Boon Haw and Boon Par as a way to give back to the community. Your kids will have a ball exploring over 1000 larger-than-life statues and tableaux, feeding the turtles and learning legendary lessons. Beware, the gruesome ’10 Courts of Hell’ features some nightmare-inducing scenes of tortured sinners, so you’ll want to exercise parental discretion with younger kids. Shade is hard to find, so come armed with hats, sunscreen and plenty of water. For a ride your kids will remember jump aboard a trishaw and let an uncle pedal you around Bugis and Little India. The trishaw was the preferred mode of transport back in the fishing village days, so it holds a distinctly Singaporean charm. The slow pace will give Uncle plenty of time to regale you with stories about the good old days, and to point out local points of interest. Singaporeans love fresh seafood, so it stands to reason that prawning is a popular weekend pursuit. Rent a rod, hook on your bait, and try your luck! The kids will love the thrill of the chase, and you’ll love barbecuing (and devouring) your catch at the end of the day. 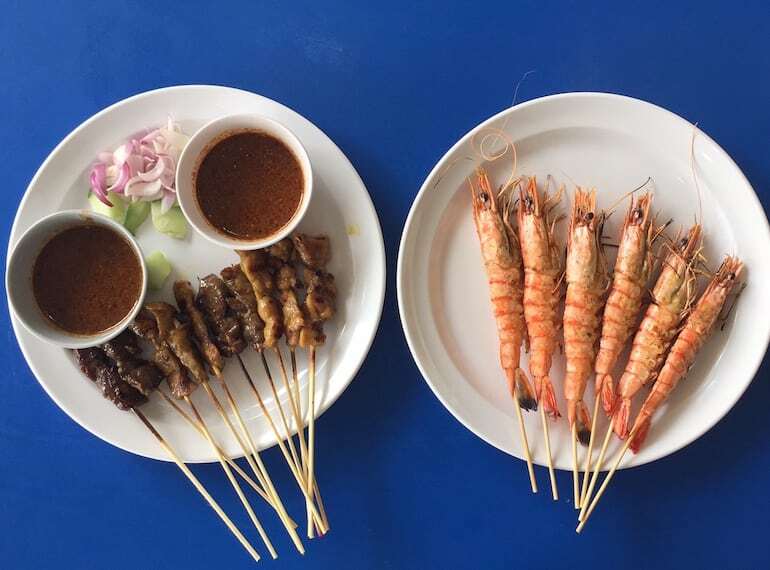 There are a handful of prawning spots in Singapore, but our favourite is Fish@Bugis, as the kids can try their little hands at longkang fishing at the same time. Kids re-enact Singapore of old catching small fish in nets in a purpose-built longkang pond. Fun for all the family – check out our guide to prawning in Singapore with kids for more fishing spots! 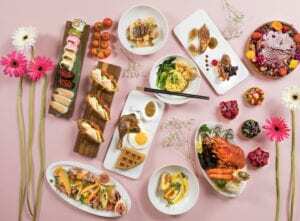 If shopping is officially Singapore’s national pastime, then eating comes in a very close second. Local custom demands that between the hours of 12pm and 2pm all conversations must begin with the question ‘Have you taken your lunch?’ There’s good reason for Singaporean foodie obsession: local delicacies are ridiculously tasty, easily available and cheap! There’s a lot to love about the food court experience. First up, make sure to ‘chope’ (reserve) your table with a packet of tissues before heading off to check out the food stalls. Our kids are fussy eaters so we stick to sure crowd pleasers like Hainanese chicken rice, prawn steamed dumplings and chicken satay. 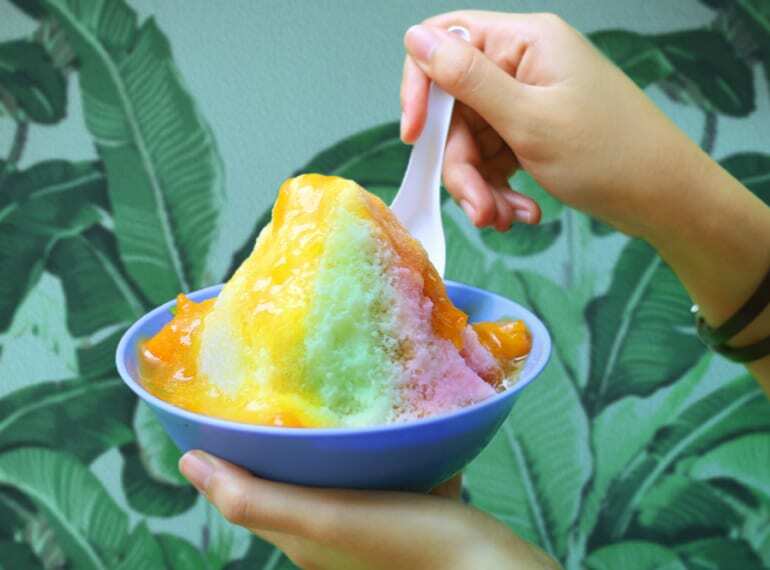 If in need of some hot tips on where to go for amazing hawker food, check out our guide to the best fam-friendly hawker centres all around the island. Fancy shooting a fire hose, climbing aboard a red fire truck or scrambling up a rescue ladder? 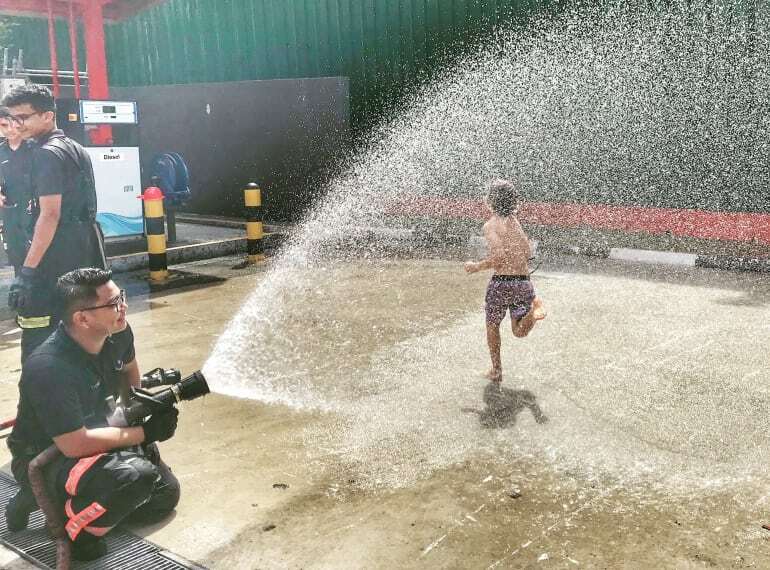 Take your kids to a Fire Station Open House and not only will you do all of the above, but you’ll also learn all about what it takes to be a brave Singaporean Fire Fighter. The Singapore Civil Defence Force run open houses every Saturday at Fire Stations island-wide. 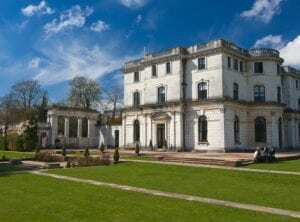 Our pick (for wow factor) is the oldest remaining Fire Station on Hill Street where you can make a day of it and also visit the Heritage Museum. When living in a country so fiercely proud of its defence force (think compulsory national service), it’s important to witness it in action. We recently had a very happy morning checking out Changi Fire Station. Little India represents a vital part of the cultural melting pot of Singapore, and a visit to this neighbourhood is an absolute must. First up, while your smalls have fresh legs, give them a real insight into spectacular Hindu culture with a visit to a temple or two. If you can, time your visit to coincide with festival days when offerings are being made and the temples are festooned with stunning flowers. The Shree Lakshminarayan Temple is a great example of how a place of worship can become a focal point for the community. And if you only manage one more temple, make sure it’s the astonishing Sri Veeramakaliamman Temple, dedicated to the goddess Kali. Direct all eyes northwards and behold the Hindu gods seemingly climbing up to the sky! You’ll have worked up a hunger, so tuck into a delicious lunch at any one of the awesome eateries dotted around Little India. Our pick is the Banana Leaf Apollo (54 Racecourse Road) which is wildly popular with locals and expats alike. 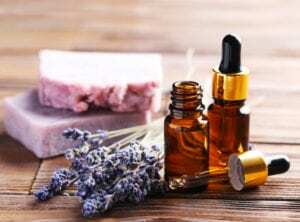 Post-feast, have a mooch around the Tekka Wet Market and be allured by the colours and fragrances of a bustling local marketplace. Stop off at one of the Indian sweets stores and sample local delights like mango lassi and jalebi. Delish! Shree Lakshminarayan Temple Singapore, 5 Chander Road, Singapore 219528. Sri Veeramakaliamman Temple, 141 Serangoon Road, Singapore 218042. Singapore is a city synonymous with lush tropical growth, with Gardens by Bay being one of its finest examples. Start your trip at the Visitors’ Centre, and take time to enjoy the impressive Super Trees en route to the Flower Dome and Cloud Forest. The conservatories are testament to Singapore’s ingenuity and engineering prowess. The gardens are truly incredible both in terms of the range of flora and their immaculate presentation. All ages will adore the breathtaking giant waterfall in the Cloud Forest, and there is always something new to see at the ever-changing Flower Dome. Don’t miss the free FEO Children’s Garden water play area, which is so great it warrants a whole separate visit. Head to the Asian Civilisations Museum and you’ll be rewarded with an awesome display of pan-Asian art and culture. Expect to walk away with a head full of knowledge about the intriguing history of vibrant, multicultural Singapore. The clever exhibits appeal to all ages, which make it a staple for school excursions – check out the brilliant Saturday programs for families, which include storytelling, art and craft. The kids will be busy learning while having fun! If you lose track of time, it’s nice to know you can stave off a tantrum by refuelling at its noteworthy cafe, Prive. Tour the Singapore River the traditional way: on board a quintessentially Singaporean bumboat. Your guide will give you a brief history of Singapore skyline as you cruise along the lively restaurant hotspot of Clarke Quay, pass the colourful shop houses of Boat Quay, wave at the Merlion and ogle the super-sleek Marina Bay Sands. It will be smiles all ‘round on the 40-minute journey. Our tip is to go in the early morning or evening to avoid the heat of the day. Families with older kids should catch the Marina Bay light show trip at 7.45pm. Singapore River Cruise, Jetties from Robertson Quay to Marina Barrage (we went to Clarke Quay). Cost $25 (adult), $15 (child), www.rivercruise.com.sg. 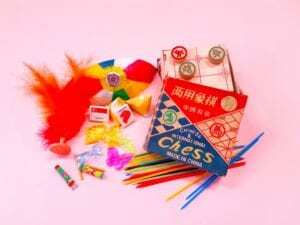 Learn all about the customs of Peranakan communities in Southeast Asia at the super kid-friendly Peranakan Museum. If you’re the organised type, plan to go on the second Sunday of the month to make the most of the Straits Family Sundays program. The folks at the Peranakan Museum run fantastic four-hour workshops which include a guided tour, art and craft and dancing! 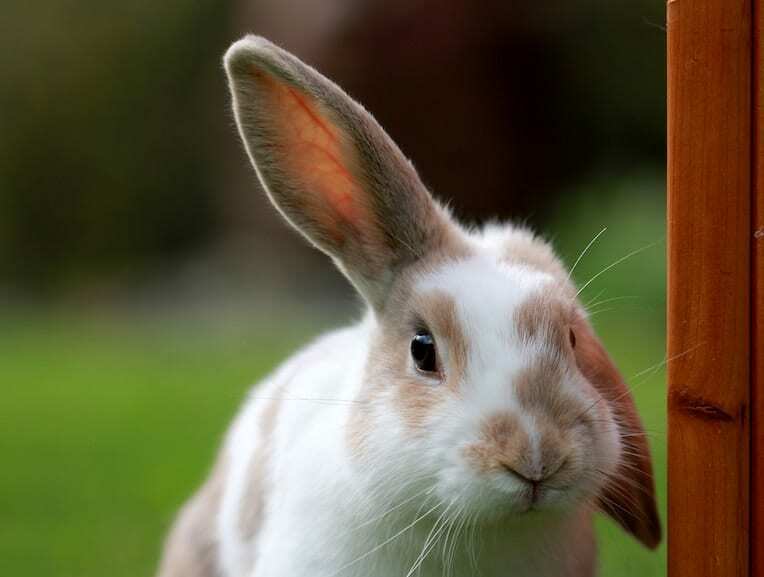 The themes vary from month to month, so no two workshops are the same. 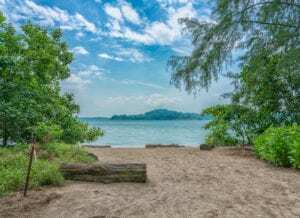 Discover a little local folklore at Kusu (tortoise) Island, where legend has it a turtle turned itself into an island in order to rescue two sailors, one Chinese and one Malay. The Chinese consider the turtle a sacred animal, and today the island has a sanctuary that is home to hundreds of the cute critters. Make sure to visit the famous Da Bo Gong Chinese temple and three Malay shrines, all of which you can explore against a scenic backdrop of sand, sea and lush tropical greenery. How to get there: Take a round-trip ferry ride from Marina South Pier ($18 for adults and $12 for kids age one to 12 years) to St John’s and then a 15-minute onward ferry ride from there. 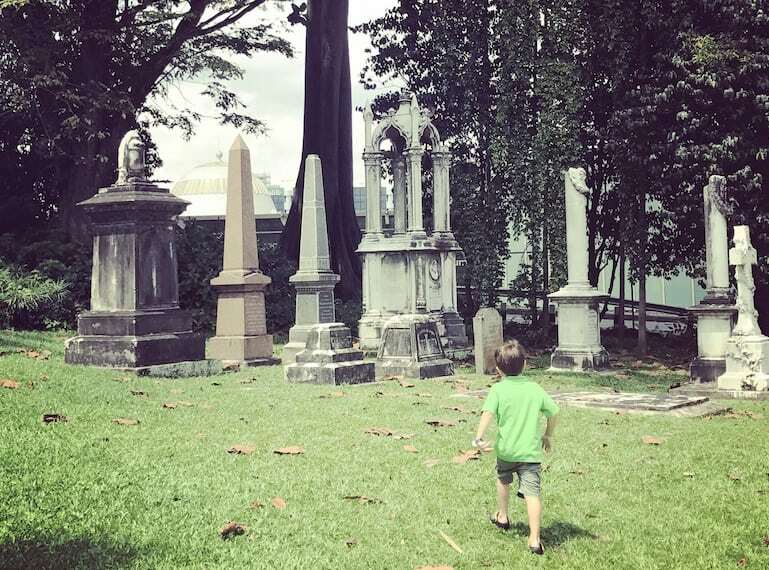 For a real glimpse into Singapore’s history head over to Fort Canning Park and set the kids free to run on the hills that were once the site of 14th Century Malay palaces. Visit the Battlebox, a British command centre located underground, for a World War II history lesson, before heading to Flutes for one of the best brunches in town! Do dive into our full guide to Fort Canning Hill before beginning your adventures. Jet over to Paya Lebar Airbase and get up close and personal to fighter planes and helicopters at The Air Force Museum, and find out all there is to know about the Republic of Singapore Air Force (RSAF) through interactive displays and activities. 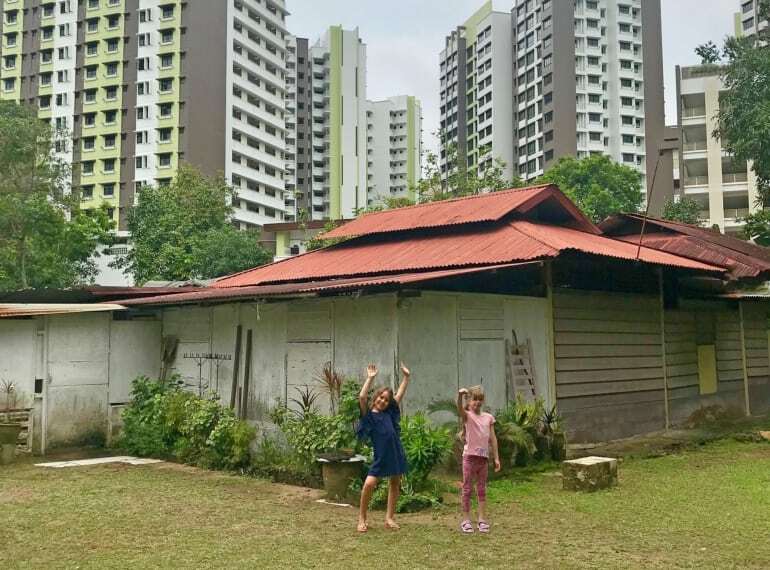 Visit Singapore’s last remaining ‘village’, Kampong Lorong Buangkok to show the kids a slice of real Singapore history. You’ll be transported to another time, as you walk round this kampong, nestled amongst high-rise HDBs. Originally a swamp, the land was purchased by a traditional medicine seller, Sng Teow Koon in 1956 and then small plots were rented out to Malay and Chinese families for them to settle down and build houses. With less than 30 families residing on a 1.22ha piece of land, the community remains tight-knit where everyone knows everyone. “Kampong spirit” is something you’ll hear often around Singapore to denote camaraderie, solidarity and closeness that was part of living in the kampong community, so it’s nice to see first hand what they’re talking about. Discover Thow Kang Pottery Jungle where you’ll find one of the last two dragon kilns in Singapore! Apart from the fascinating and humungous dragon kiln itself, we say spend an afternoon rummaging through its vast collection of pottery, or sign up for a pottery workshop. Head over to Sentosa and find out what life was like for a soldier from times of old over at Fort Siloso with a visit to the Surrender Chambers to witness historic surrender moments that changed life in Singapore during WWII. 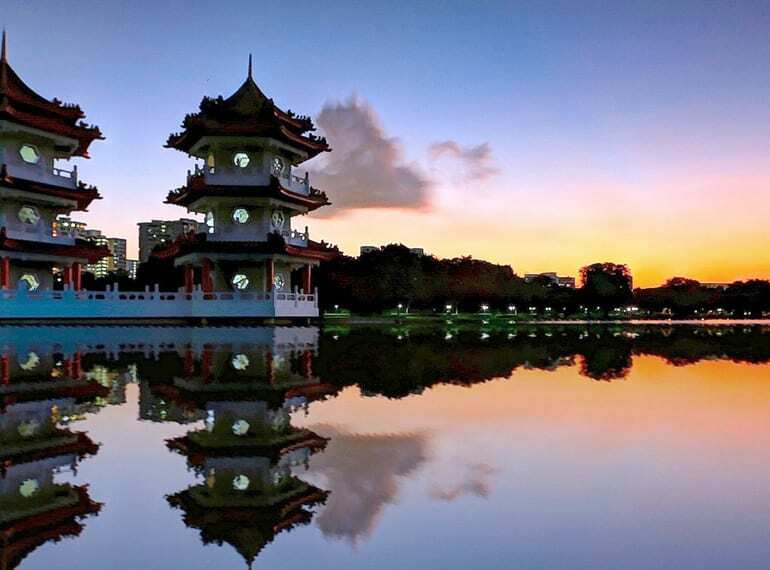 Head west to the beautiful Chinese Garden and Jurong Lake Gardens for gorgeous architecture and landscaping, plus a ton of space for busy little legs to run, run and then run some more! Expect to be snapping a lot of photos! We stumbled across this truly lovely antique shop purely by chance on a lunchtime stroll, and can’t wait to go back to experience one of its Chinese Tea Parties. All teas are served as part of a personal collection belonging to owner, Mr Cheong, and he and his friendly staff will happily share tea, stories and hospitality: all they ask in return is your time and sincerity by way of payment. Kids welcome! 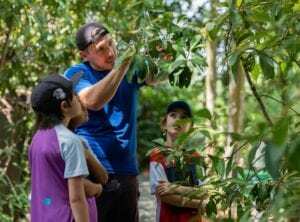 It’s always a hip hip hooray kinda day when we wake up and find the sun shining: the perfect excuse to hop on a bum boat for a family adventure in Pulau Ubin for us to discover Singapore in days of old: kampong style! 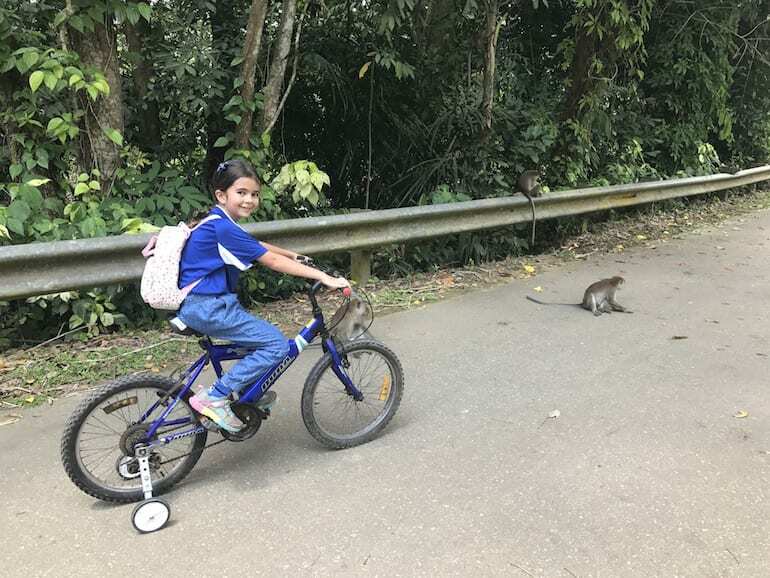 Don’t forget to check out our guide to Pulau Ubin with kids before heading over!